As the GST rolls out, huge challenges of implementation and execution remain. Lok Sabha in action : The Lok Sabha cleared four bills – Integrated GST, Central GST, Union Territory GST and Compensation Bill - related to the Goods and Services Tax (GST). Now the GST Council, comprising FM Arun Jaitley and state finance ministers will finalise rules and product and service-wise rates. Revenue neutral rate (RNR) is a crucial factor for its success. Since the government revenue would not remain the same as that in the current system, hence, through the RNR the government needs to ensure that its revenue does not drop after giving tax credits. Informal Sector to get hit: Buying from un-registered sellers would be challenging. Section 9(4) of the GST Bill provides that if a supplier is not registered, and there is a sale to a registered entity, then the buyer shall bear the GST on such sale under a reverse charge mechanism. Limits: All unregistered suppliers may not be defaulters. Sellers may be unregistered because their entire output is exempt or they fall below the threshold limit set for application of GST. In such cases the buyer will have to ascertain the GST rate for each and every product it is buying from unregistered suppliers and then pay tax. Deep Dive : Read our full Bodhi on GST here, and many Bodhi Saars on taxation, GST etc. here. Self-invoicing troubles: The Section 31(3)(f) makes this more cumbersome. The buyer has to self-invoice for the product purchased from the unregistered sellers. This invoice is to be uploaded in the GST system. Creating an invoice in itself is a complex job as the HSN (classification number) is required to be known. Problem: The government does not gain anything from the GST paid under the reverse charge mechanism, as the buyer will claim an input credit. Further, bringing this type of a reverse charge defeats the purpose of having a threshold limit for registration. Robust IT network: The government has already incorporated Goods and Services Tax Network (GSTN). However, GSTN has to develop GST portal which ensures technology support for registration, return filing, tax payments, IGST settlements etc. Thus there should be a robust IT backing. If that stumbles, the whole system will collapse. Extensive training to tax administration staff: GST is absolutely different from existing system. 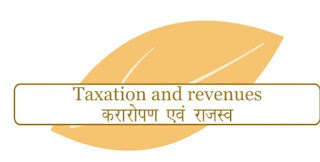 It, therefore, requires that tax administration staff at both Centre and state to be trained properly in terms of concept, legislation and Procedure. Bodhi Saar: Caution : GST ahead!